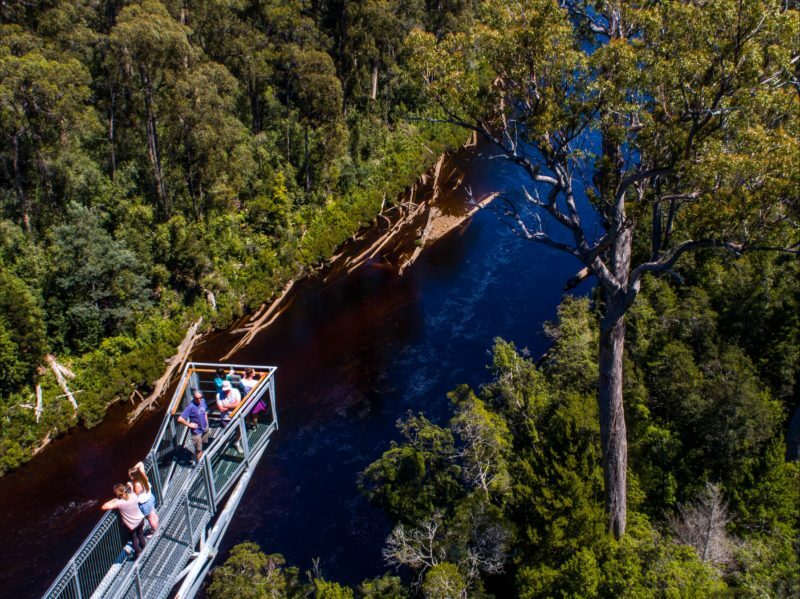 Tahune Adventures Lodge and Cabin located a 30-minute drive south of the Geeveston township in Southern Tasmania. Set amongst the tall trees around the famous Tahune AirWalk, ideal for all visitors including families and backpackers. Accommodation includes eight rooms including two bunk rooms (sleeps four), two family rooms with double bed below and single bed on top, two triple rooms with a single bed and a set of bunks (sleeps three) and two rooms with Queen bed, accessible by wheelchair. The complex is a central hub with fireplace, a television and selection of movies, books and free Wi-Fi, a dining area and a fully equipped kitchen with complimentary tea and coffee. The shared bathroom facilities also cater for people with disabilities. Tahune Cabin offers private, self-catering accommodation for up to four people. The cabin has two bedrooms, one with queen bed and another with a set of bunk beds. Portacot is available on request. There is a fully-equipped kitchen, bathroom, lounge area and television/movies. All Lodge guests need to check-in before 4pm. – One room with a double bed sleeping up to two people. This is an accessible room. 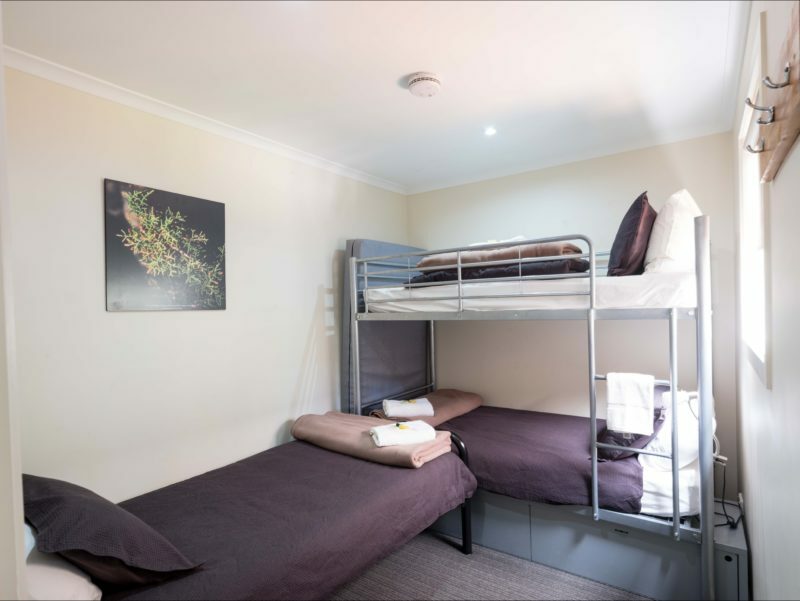 – Two triple rooms with a single bed and a set of bunks each sleeping up to three people. – Two family rooms with a double and a single bed each sleeping up to three people. The centrepiece of the complex is a central hub with fireplace, DVDs, free internet access, dining area and a fully equipped kitchen with complimentary tea and coffee. The shared bathroom facilities cater for people with disabilities. All linen supplied. 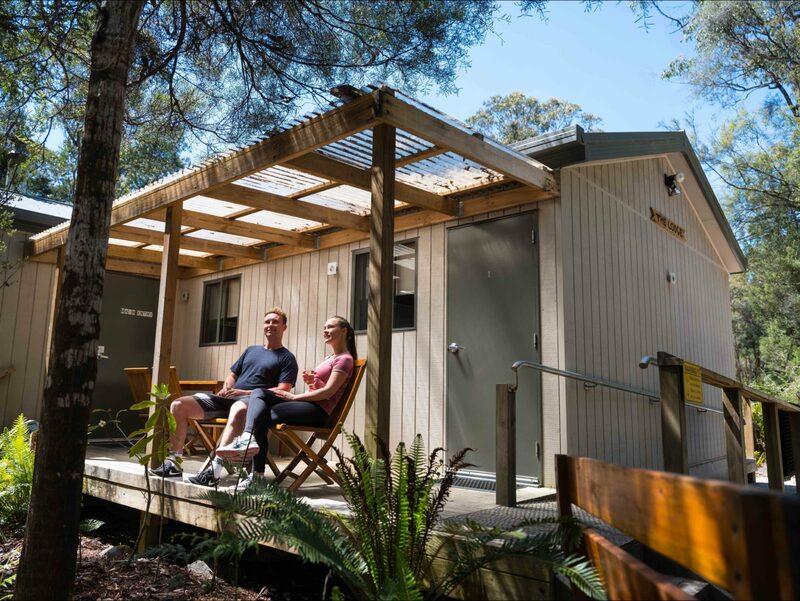 Cabin base price two adults – charges apply for extra guests. Camping is free for one night when purchasing a ticket to Tahune Adventures site. No powered sites, toilet facilities only, suitable for campervans and motorhomes. Fees apply for extra nights.